Despite the rumors, we do still have fans! Yes, GameCola Faithful—this section still exists! And, we do still have fans! 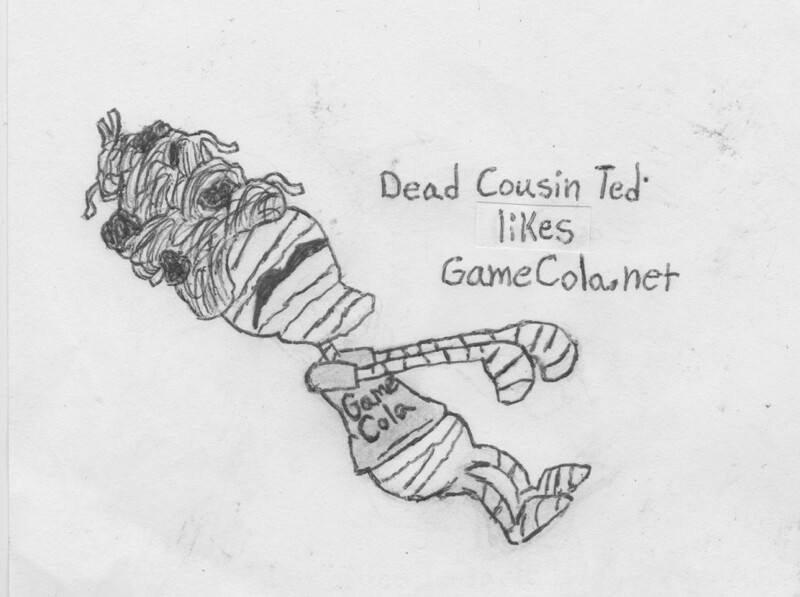 GameCola fan violetichigo1999 submitted this GameCola/Day of the Tentacle crossover fanart of Dead Cousin Ted wearing a GameCola T-shirt. Maybe it’s one of those shirts from our old CafePress. I think that was still active the last time we got fanart. If you want to submit some fanart—or fanfiction, or guest review, or just to say how much you really, really like GameCola—, feel free to send an email over to Jeddy. He’ll probably respond!